My unpublished works include projects I’ve done for class projects. I did these in my graphic design course I took in Fall 2013. They include a book cover, brochure, album cover and packaging for an energy drink. 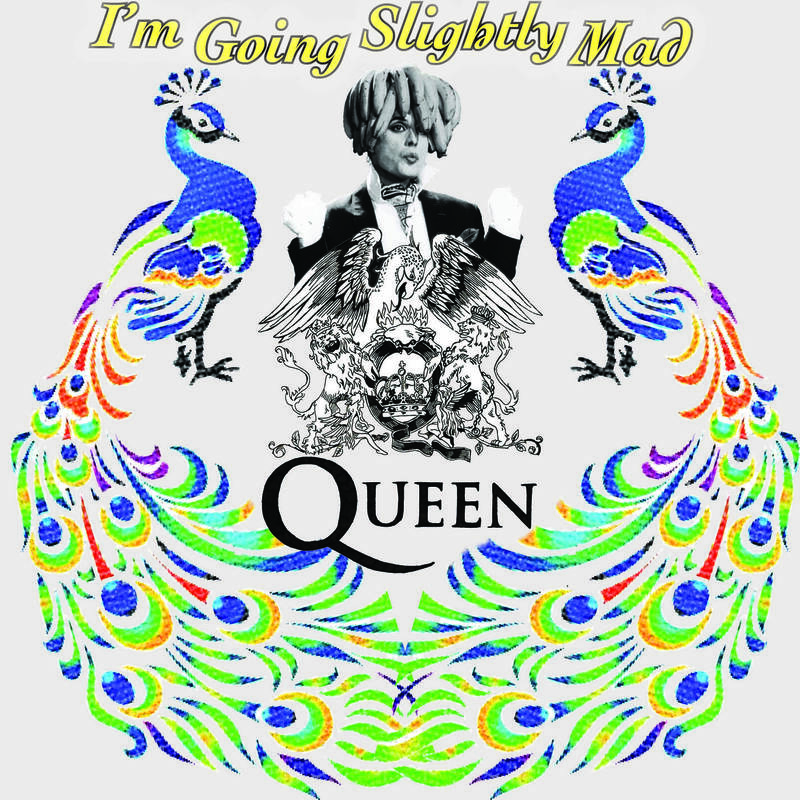 Above I created an album cover for the song I’m Going Slightly Mad by Queen. I used Adobe InDesign to create it. Due to the song being absolutely ridiculous, I incorporated things that were sung during the song. Peacocks were not in the lyrics, but in the music video Freddie Mercury wears a peacock cape. 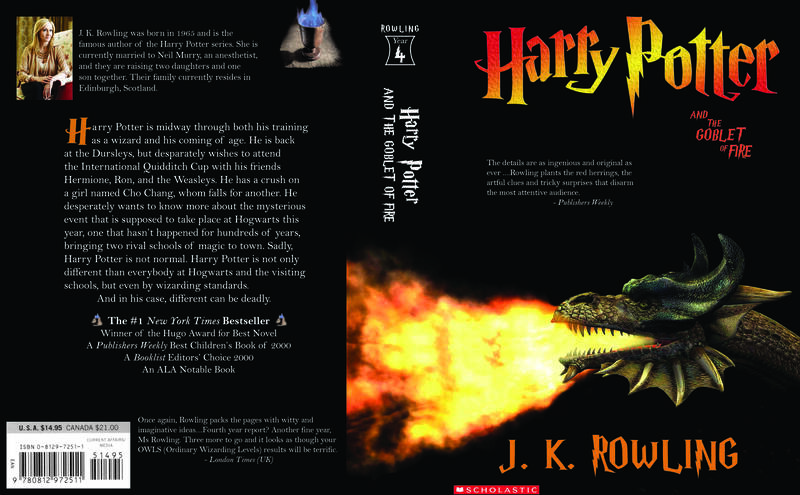 Above, I recreated the book cover for Harry Potter The Goblet of Fire by J.K. Rowling. This was made in Adobe InDesign. I incorporated the dragons in the book by placing a dragon breathing fire on the cover. 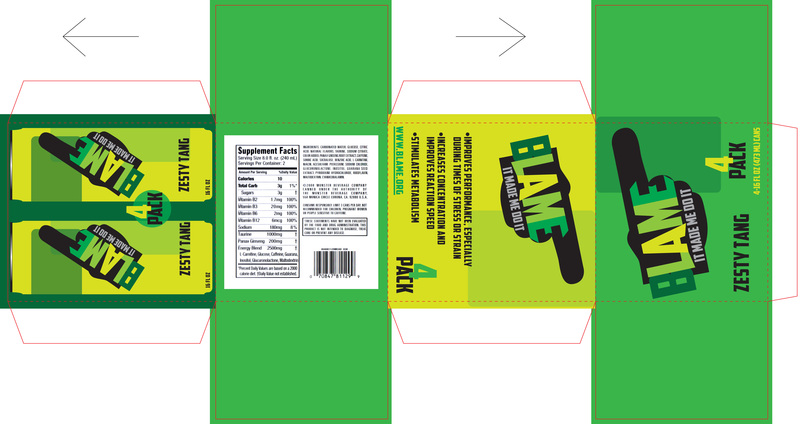 Above is a package I made for my energy drink. Using Illustrator, we made the outlines of the package using the given dimensions. Barcode and nutrition information were given as well as the can outline. I designed my own can using the outline provided and placed it onto the package. I designed the package around my logo, slogan and brand name. 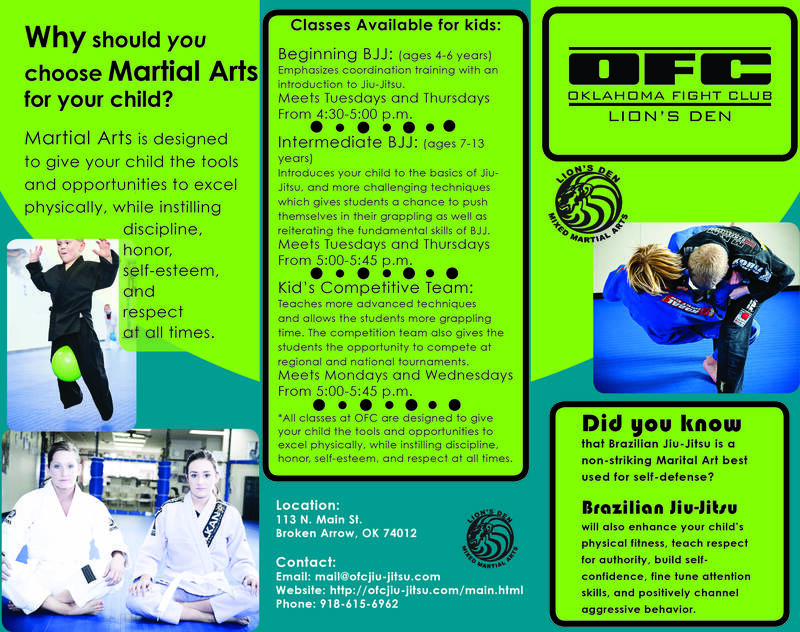 Above, I created a brochure for Oklahoma’s Fight Club with photos and body copy provided. 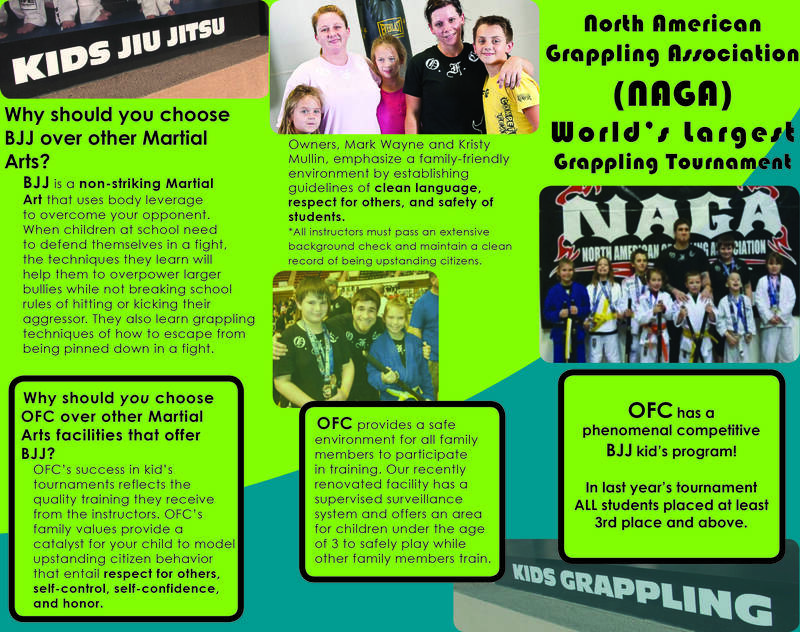 The company wanted a brochure emphasizing the programs they have. This was created using Adobe InDesign.